A condensed summary of our pornographic gear expedition in L.A. and Anaheim/NAMM. Catch the picture where Justin is using my Sherman Filterbank as a pillow. I had to throw something at him to get him to move off it. I’m starting to document where my Doepfer has been through pictures. It’s survived a lot of mayhem: L.A., Chicago, D.C., Paris, Nurnburg, Vienna, Hamburg, Berlin, Barcelona, Madrid, London among other places beyond my memory. The last two pictures are by Sarah Sitkin using only our(Tony Welter of Eustachian and Surachai) horrid bodies and her great vision. She rules! We’ll be a little slow on the NAMM stuff but, for now, you can check out some photos of our weekend some friends took: here and here and here and here. I’m still in L.A. soon to head up to San Francisco while Justin flew home today. I am entirely grateful for all the company I’ve had here but I won’t name any names, no I won’t play favorites. People like Mike Brown, Shawn Cleary, James Cigler, Scott Jaeger, Dieter Doepfer, Martijn Zwartjes, Jonathan Leonard, and Nik Reiman know they are already special. My most amazing friends Justin, Leah, Scott McGrath, Toe Knee (Papa Bear), Roche, Ash, Devine, Baseck, Marianne, Willia, Captain Jon Ahab, Violence, Geoff, Sonya, Moe, Dirty and Memo don’t need reassurance of our friendship on some blog. Since they don’t need to know, you can head over and read about Rena Jones. 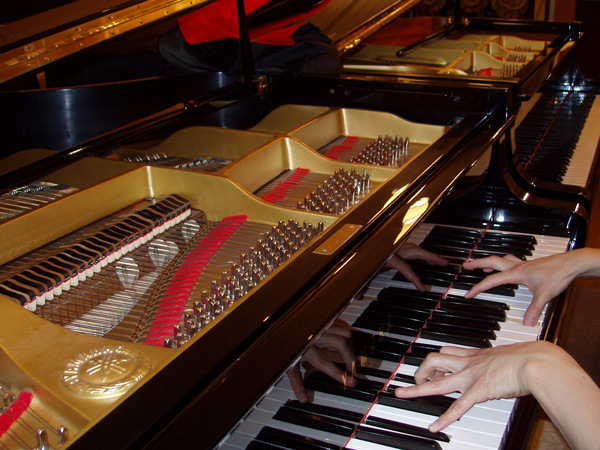 I began piano lessons when I was 5, violin in the third grade, cello when I was 16 and began composing on a 4 track when I was 14. 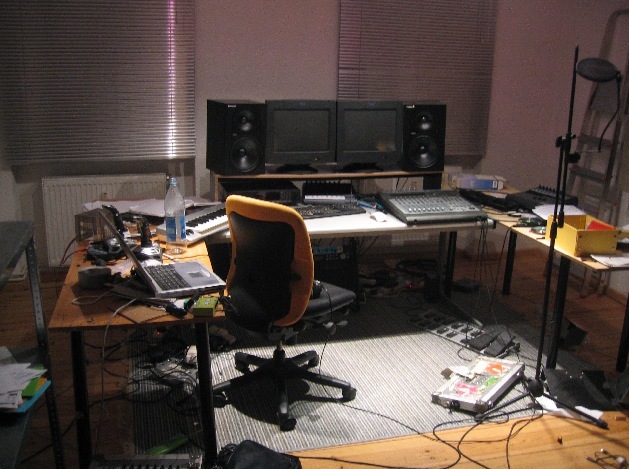 It wasn’t until I was about 20 that I had my own DAW but I interned at a recoding studio in Austin, TX and have been using Pro Tools since 1995. I never really felt there was a name that would truly represent myself as an artist so I just compose under my real name. Sometimes I feel like that works against me as most people associate a women’s name with a singer and not an electronic producer but I still prefer to use my real name. I was born in Fargo, ND of all places, moved to Fort Worth/Arlington Texas when I was 1yrs old, then to Austin for 5 yrs, San Francisco for 7 yrs and now reside in Portland, OR. I really enjoy Portland because it is an extremely nature oriented city, the people are lovely, there’s a good and diverse music scene and it’s a great place to call home. I tend to be on the road a lot these days so living in a slower paced cheaper city is ideal. That’s a tough one. I like different pieces of hardware for different purposes. 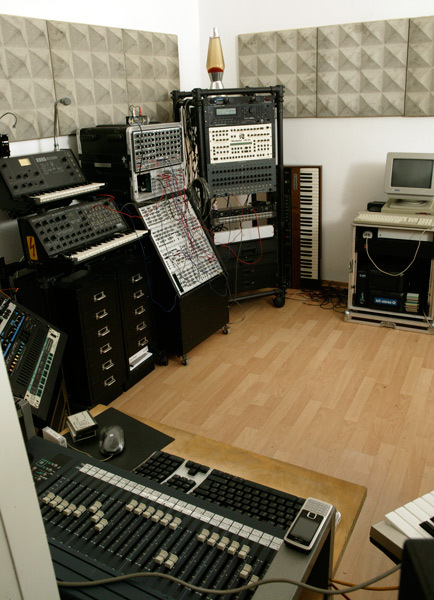 Currently I have been into FM synthesis. I have a Yamaha FB-01 and a Yamaha DX7. I really enjoy the FM synthesis for their super rich tone and use them more for sourcing than for final composition. The FB-01 is really nice for bass tones and I love running them through an Electro Harmonix Micro Synth, Tube Distortion and random pedals. The nice thing about FM synthesis is you can get really unique sounds if you spend the time to program them. In general, I really love sourcing from real instruments to obtain a rich analog tone and tend to build all my tones and sound banks from real instruments and then manipulate them with granular synthesis or whatever I see fit at the moment. Also, my most important piece of gear without a doubt are my Dynaudio BM5’s. I don’t know how I ever lived without them. I have been enjoying Massive as of late but there’s no way I could live without Convolution Reverb. There are some amazing RT60 samples that can bring out the most amazing harmonics in my cello or turn a glockenspiel into the most psychedelic bell sound. yum… I also have been enjoying the Super Destroy FX plug ins, specifically Geometer for giving me that extra little crunch for my kits or bass. For those who don’t know, you can get them free here. http://destroyfx.smartelectronix.com/ (please donate if you like them). In every way imaginable! No really, I think I spend a lot of time honing my workspace. I am always adding something new, switching out my gear, or just rearranging my workspace. I really try to create a lovely ambiance that makes me feel like I am in a womb. 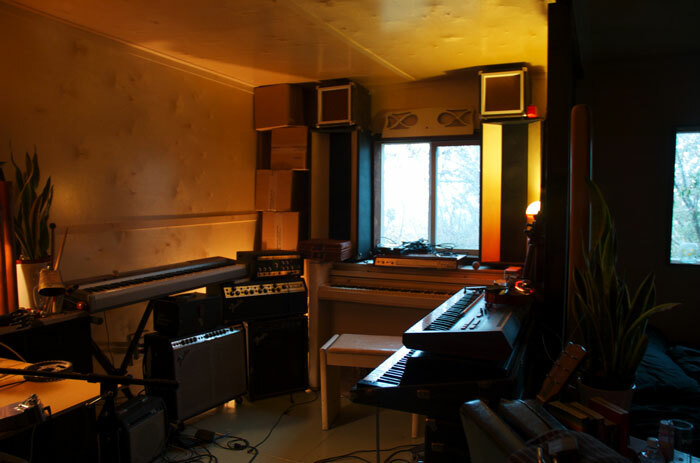 My studio is in my basement so I get that feeling of being in a cave which I prefer that when I work. I really like the subterranean feel because even if I am working in the middle of the day I feel like I am instantly taken to that subconscious level where I feel like the real magic happens. I don’t always like that cave feeling though, if I am doing super critical editing I tend to turn all the lights on and open the windows but when I am in the more free form creative space I tend to turn the lights dim and dive in deep. I really feel like lighting can be a very influencial thing when working. I have special “happy” lights that produce serotonin for certain moods and then some lighting that produces melatonin for other moods. I also think the most important thing is to have everything accessible. 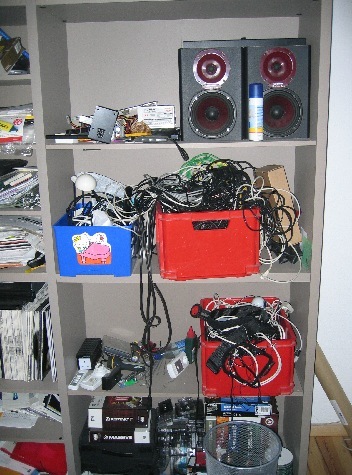 All of my gear is extremely organized, from cables to mics to connectors and adapters to hardware. When everything is easily available, I find that I am more willing to try something new and play with new toys then if they were just in a pile I had to sort through. Currently, I just finished editing audio for a film by Dan Yost who wrote the script for Drug Store Cowboy and have done some work on a few Indie films. I try to get involved in film as much as possible and would love to go more in that direction in the future. As far as video games, I have written songs for Dance Dance Revolution and am about to compose for the next two versions of that game and have also done work on the game Lifeline and Karaoke Revolution as an engineer. 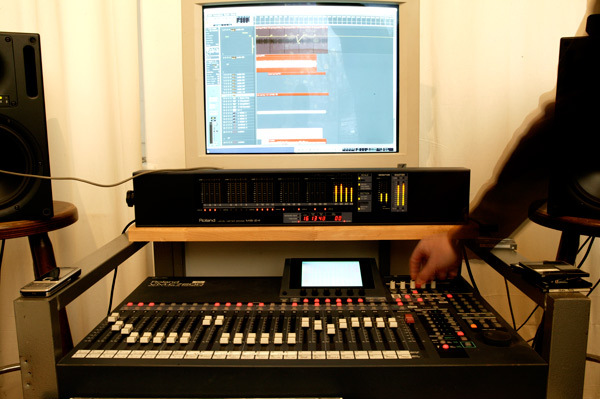 I also worked for Digidesign as a Testing Engineer and did a lot of Sound Design work for commercials etc. 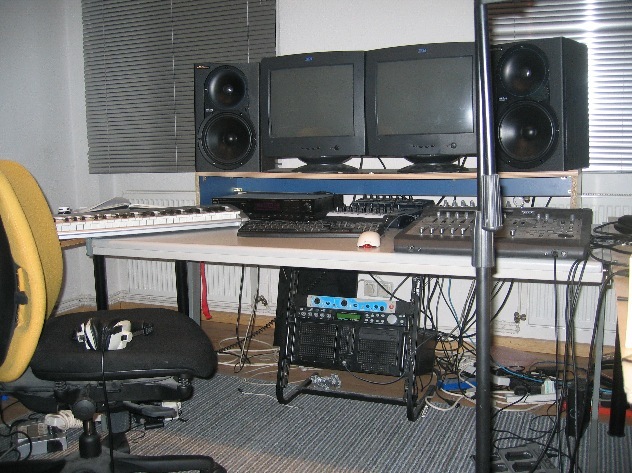 when I was a Sr. Sound Engineer for a studio called Wavegroup. I used to have a lot of gear when I played live but now I really feel like less is more. 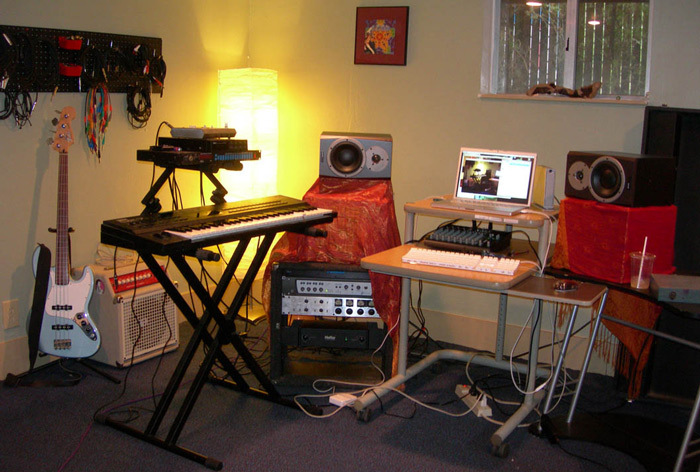 Mac Book Pro Intel Core Duo 2, Midi Controller, Mbox (soon to be replaced), LoopStation, Mackie Mixer, Violin. I have had my studio in 4 locations now. I tend to not move around a lot, once I find a place I stay there for years. ng acoustics. I have to say I miss that studio from time to time but it was in a really bad neighborhood so I don’t miss the crack heads smoking out front. lol. 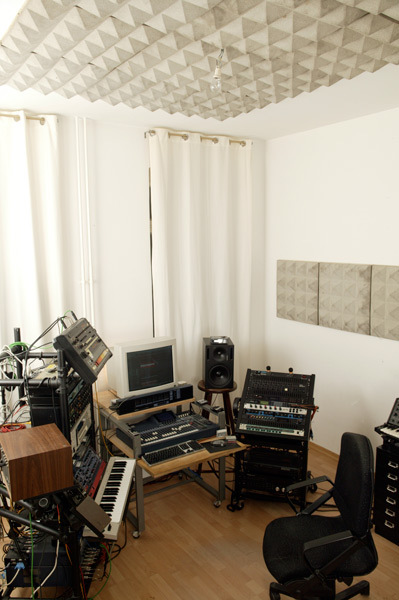 All in all I think my studios have changed a lot over the years. 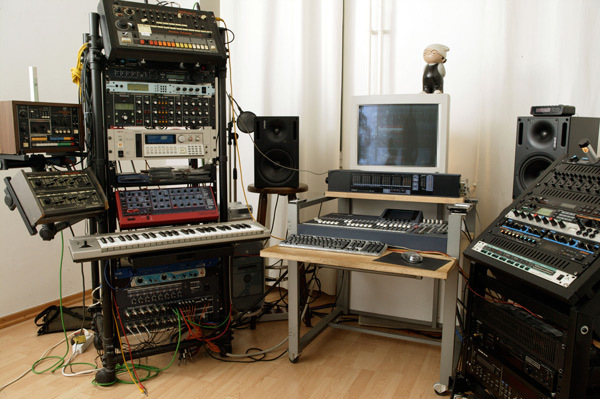 My first two studios were just on my desk crammed in my bedroom and now my studio is filled with a lot more gear, acoustically treated and has much better fung shui than my former studios. One of the nicest things about my current studio is that it’s in my home but fully removed from my bedroom. It’s nice to be able to take a break and cook a healthy meal in my kitchen or go for a hike in the beautiful park I live next to. I noticed that when I had my studio in SF, I didn’t have a kitchen, shower or fresh air and would work for days on end living a very unhealthy lifestyle. That was part of my reason for moving to the Pacific Northwest. I really wanted to create a more healthy lifestyle. Living next to a park has been great too because when I am working and need a break, I pop my tracks on my ipod and hike up the hill while I take a more noncritical listen to the pieces I am working on. Justin and I are both in California, finished our NAMM expedition and will meet back in Chicago in a couple of weeks. We have finished gathering all the content from NAMM and will post it up when we have time to piece it all together. 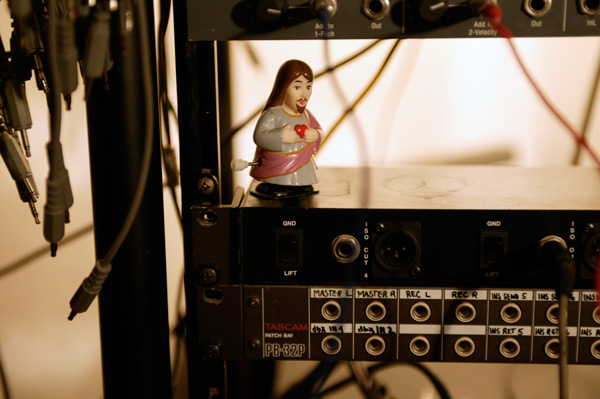 Don’t worry, you can find the newest miracle products from any other music source. We’ll have pictures and videos of some of the great content NAMM had. We were introduced to many great products(both new and old) and met so many amazing people. To get away from NAMM a bit, here is a short and sweet interview from the man behind radicalfashion on Hefty Records. I started learning to play piano when at primary school. At first I didn’t like practice and soon quit it. About a year later, though, I began playing piano again. That’s the starting point. Besides, I have taken part in several bands, and I suppose that experience has helped me develop the sense of functioning as a part of the whole picture. It is a digital instrument called TENORI-ON. I’m interested in this kind of interface that allows quite intuitive manipulation, as it might enable you to capture the passing moments that you sometimes, quite unconsciously, bring about. The moderate size of my working room is quite comfortable for me, leaving no wasteful space. I’m considering making a window these days. 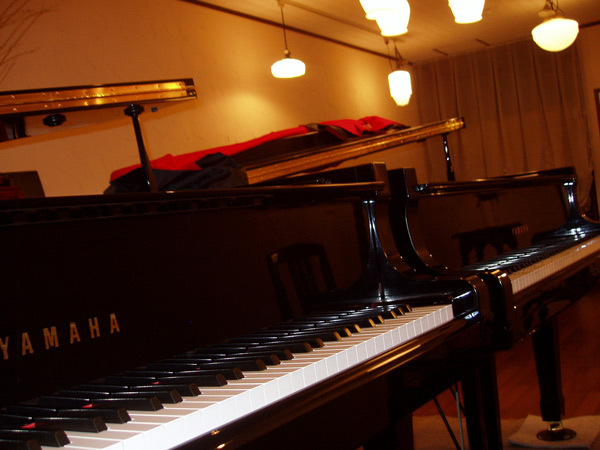 As you can see in the picture, the pianos are well arranged, aren’t they? This moderateness is convenient for choosing among the instruments. When I want clearer sound images I use the front one, for example. I composed some soundtracks for film by friends made. Japan’s radicalfashion releases out of the Chicago based Hefty Records. Be sure to check out their album ‘odori’. 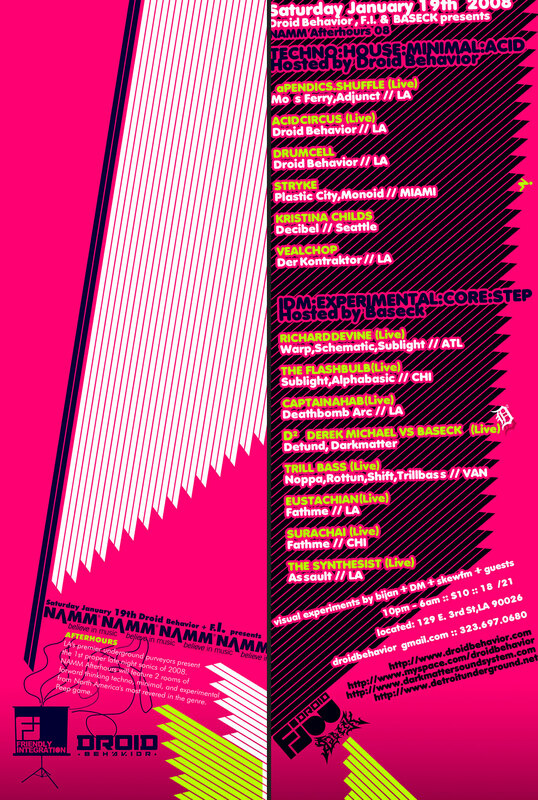 Live in LA : NAMM Afterpartys, This Friday & Saturday! 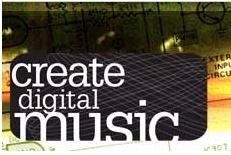 ALSO from Create Digital Music, Workshops! – Learn how Bryant Davis Place (future-tense-cpu) built his own DIY VJ sequencer for M8 using the Lemur multi-touch controller. – Learn about the wonders of wireless MIDI sync in AV Performance with Acid&Bass&Momo producing a live remix of Karate Kid. We will have another announcement on a gig in the works but until then, here are three things I’ll be involved in.